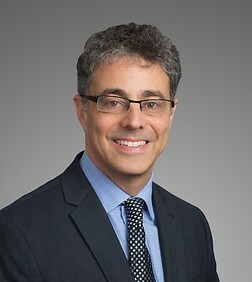 Arthur J. Friedman is a litigation partner in the firm’s San Francisco office. Arthur’s litigation and consulting practice encompasses complex commercial, real estate, CEQA, land use, public agency and education matters. Arthur was recognized again this year, for the fifth consecutive year, as a Northern California Super Lawyer for environmental and business litigation. Super Lawyers lists the top five percent of attorneys in a state or region who have attained a high level of recognition and professional achievement. Arthur’s commercial litigation practice encompasses a broad range of complex contract disputes, including purchase and sale agreements for real property, goods or services, lease agreements, development agreements and insurance coverage/bad faith matters. Earlier this year, he was co-lead counsel in obtaining a multi-million dollar verdict for his client in a breach of contract matter following a one-month trial. He presently represents several large corporations, cities and small businesses in a variety of commercial litigation matters. Arthur’s land use litigation practice broadly encompasses disputes under California’s Environmental Quality Act (“CEQA”), as well as disputes arising under California’s Housing Element and Housing Accountability Laws, Public Records Act, the Brown Act and other statutes. He currently is representing several housing developers in a high-profile lawsuit pursuing claims against a municipality under California’s Housing Element, Housing Accountability Act and State Density Bonus Law. In another pending matter, he is representing a state-wide interest group in a lawsuit challenging a municipality’s enactment of a moratorium barring development of all public charter schools in the community. His land use practice also includes easement and eminent domain disputes. For more than 15 years, Art has represented developers and public agencies in CEQA litigation throughout the state before trial courts and the courts of appeal. Arthur was lead counsel for the Oakland Zoo in defeating CEQA challenges to the Zoo’s plan amendment. He was lead counsel for the City of Sacramento in defeating CEQA challenges to the Sacramento Railyards Specific Plan, which the Daily Journal listed as among the “Top Defense Verdicts.” He presently is defending CEQA litigation challenging various significant and high profile projects throughout Northern and Southern California. Arthur represents several public agencies, including the cities of Sausalito, Los Altos and American Canyon, as well as the Santa Clara County Board of Education in various litigation matters. He also provides consulting, peer reviews and independent investigations for public agencies, including a recent independent investigation for a municipality arising from allegations of various Brown Act violations. Arthur represents school boards and statewide interest groups in a variety of litigation matters arising under California’s Charter School Act. Arthur is a frequent speaker at professional conferences in California and throughout the United States. "Taking and Defending Expert Depositions," PLI Course Handbook Titled "Taking and Defending Depositions 2011". "Analyzing Climate Change Under CEQA In A Climate Of Uncertainty," Real Property Law Vol. 30 (September 2007). "The Use and Misuse of Motions to Stay the Project In CEQA Litigation," California Real Estate Journal (May 29, 2007). "Attention Developers: Your Tentative Map May Be in Jeopardy - Or May Have Expired," California Real Property Journal (Spring 2004).